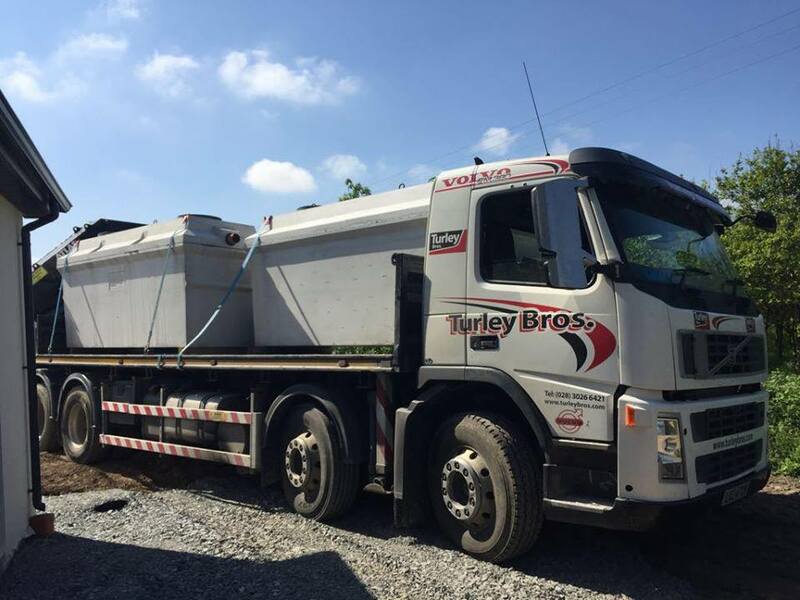 If you are looking for a domestic sewage treatment plant in Northern Ireland we think our precast sewage treatment plants are a great option. Firstly because it made of fiber reinforced 45N concrete means we are happy to offer a forty year structural warranty. This is over four time longer warranty that you will get with a plastic tank. We have also achieved a 99% BOD rating which is the best in Europe. This means the water coming out from the domestic sewage tank can be piped direct to a river stream of shuck. We supply our domestic sewage tanks throughout Northern Ireland. We have a crane lorry that will arrive and set the crane into the hole. If you need the sizes of our tanks you can get it from our brochure here. The installation of our tanks are very simple. 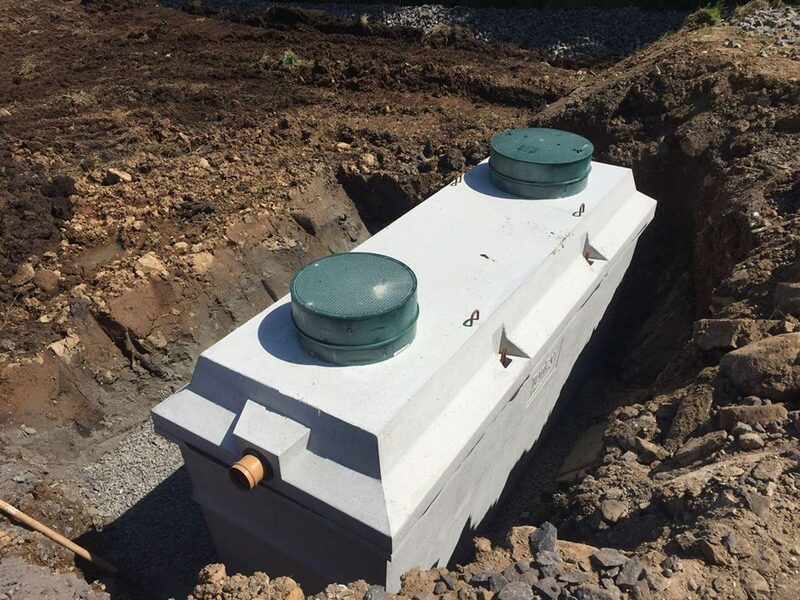 You do not need a concrete base or concrete backfill so there is significant savings compared to installing a plastic tank. If you need risers to bring the tanks up to ground level we can provide these. 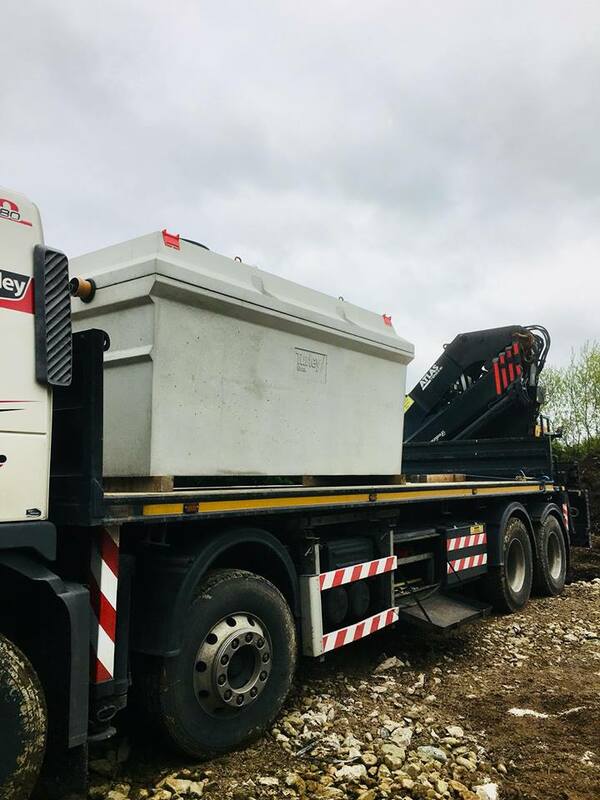 Our control unit is situated in one of the manholes and you basically connect your electric to it and the system will start. 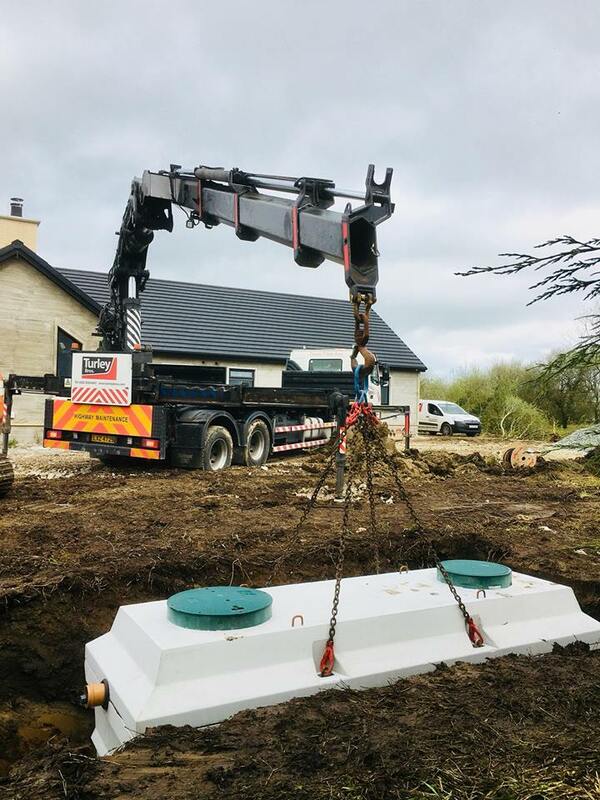 If you live in Northern Ireland and require a domestic sewage treatment plant please feel free to contact us at anytime, and we will give you a free no obligation quotation.